Magento 2 Multi Warehouse Inventory – Magento 2 In its core work as a single warehouse system. What does it mean for retailers? I will try to explain more about this part Also will explain more about multi warehouse inventory system. 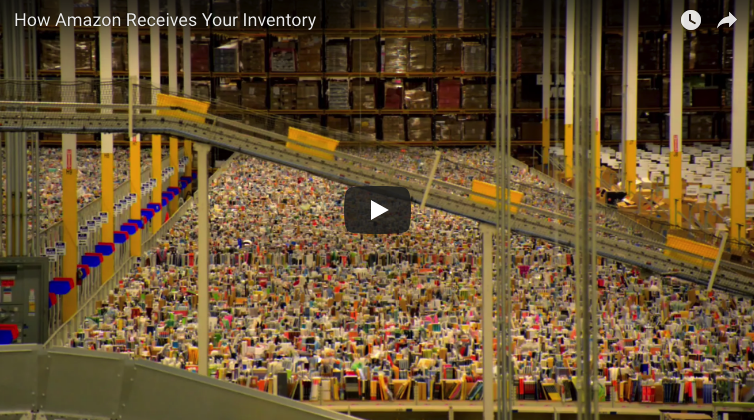 What is Multi Warehouse Inventory? First of let me explain the difference between a single warehouse and Multi warehouse inventory. Most of the popular e-commerce platforms are single warehouse inventory system. They believe that all the inventory of the products is located in the single warehouse. There is nothing wrong with these shops. Even they are still a very good choice for retailers having a single source of inventory, not the multi-source inventory. The first and most important question when a shop needs to have a multi warehouse system? OR Multi warehouse Ecommerce setup. The common problem is as the business grows. It becomes super expensive to deliver the goods from single warehouse system. Also, it becomes expensive as well to manage everything in a single warehouse. Almost every big ecommerce site in the world having multi warehouse setup from Amazon to eBay and from Walmart to Alibaba. Having the inventory of the product at multiple warehouses is called as multi warehouse inventory. Well, that looks pretty simple. This is something important. Having a multi-warehouse that means your business is growing because it is an expensive process. Managing a warehouse is not an easy task. It requires a lot of effort and cash. But this is also essential for growing online business and marketplace. Also, it is super mandatory to have smooth logistics and quality control system. Amazon is the biggest example of it. Amazon FBA is an example of multi warehouse inventory system. Magento 2 in their recent release, they have introduced MSI ( Multi source inventory ) which is an important step for Magento 2 becoming Multi-warehouse system. Multiware house ecommerce is also useful in case of marketplaces and point of sales solutions. Point of sales or POS software is an essential tool for offline retail shops. But the main problem comes when you are selling online and offline together. If you are running an online store and suppose you are also running an offline shop. It becomes really hard to manage the inventory. This is really a critical problem. That’s why in Magento 2 Point of sales system we have included the multi warehouse concept from the day one. Even long before MSI. The shop owner can split the inventory between an online shop and pos. Even not single pos, multiple pos with split inventory are also supported. The same issues happen here as well. Especially when multiple sellers/vendors are selling the same product. In this case, it becomes really a big mess. Let me explain the case. As you can see in above wireframe. Here one product is sold by single vendor. Imagine a case when one product is sold by multiple vendors? As per the above screenshot, you can see when the same product sold by multiple vendors it becomes really hard to manage the inventory of the same product by multiple sellers. This is really common in all the marketplaces. I hope now you understand the concept of Multi warehouse inventory. Please let me know if you have any further query.